NEW YORK - The lawyer for actor Alec Baldwin says video will vindicate his client. Baldwin stands accused of slugging a man in the face over a parking space. 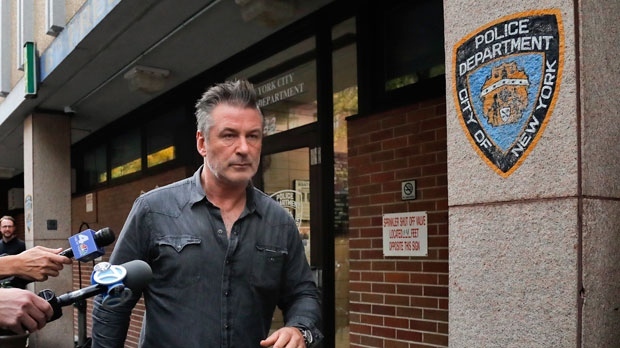 Baldwin himself said nothing as he was arraigned on a misdemeanour attempted assault charge and a charge of harassment, a violation, in the latest of his several brushes with the law over the years. The Emmy winner has previously denied he punched anyone in the parking clash outside his Manhattan apartment building on November 2nd. Lawyer Alan Abramson echoes that denial -- adding "incontrovertible video evidence" proves it "beyond all doubt." Baldwin, who came to court in a purple polo shirt and dark pants, didn't enter a plea. It's normal not to do so at this stage of a Manhattan misdemeanour case. He was released without bail and is due back in court January 23rd. 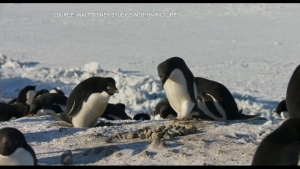 Baldwin tweeted after his arrest that reports of the episode were "egregiously misstated." Police say the fracas began after the other driver pulled into a parking space that one of Baldwin's relatives was holding for him, and the two men started quarreling and pushing each other. A court complaint filed Monday said the other driver told police Baldwin shoved him and hit him in the face with a closed hand, causing him pain, according to a court complaint. The 49-year-old man was taken to a hospital for treatment. While police arrested Baldwin on assault and harassment charges, prosecutors changed them today to attempted assault and harassment.